It’s time for Medway Open Studios & Arts Festival again this weekend and this year there are over 100 artists taking part and 23 venues to visit across the Medway towns. 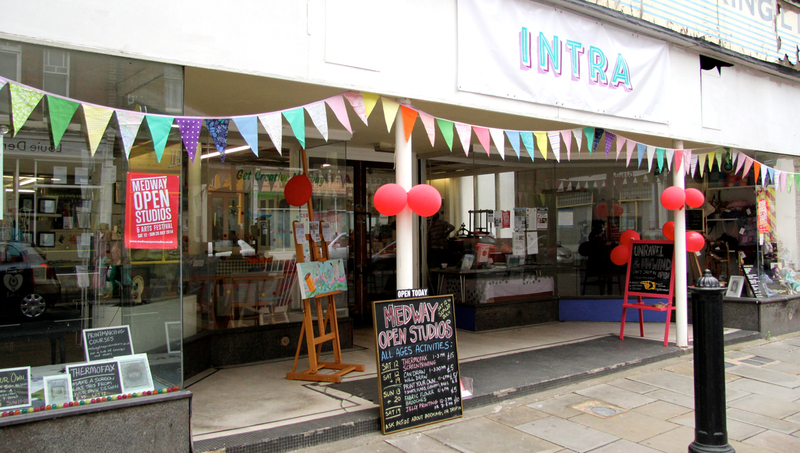 We’re looking forward to welcoming people for a nose around the studios, but we’ve also organised lots of classes and activities to run through the festival at INTRA, with many of them all-ages. 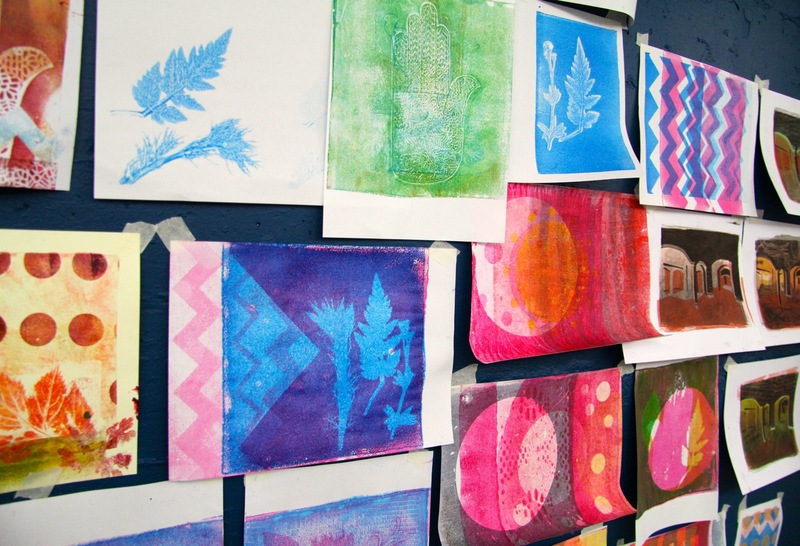 On Saturday 18th you can make detailed nature prints or beautiful patterned paper in Gelli printing classes with Medway Fine Printmakers , and Unravel & Unwind have a drop-in marbling workshop. On Sunday 19th we have the very lovely Sara aka The Skiving Scholar with her super impressive silver clay jewellery workshop, or you could learn how to make a bespoke pencil skirt with Bette Love. There will be demos going on in the print and craft studios both weekends and Stephen Podgorney will be making some new fired glass pieces in his kiln. Then on Monday 20th we’ll let you loose for lots of fun with the Printed Wonders screens, so you can ‘Print your own…‘ selection of designs onto tote bags, cushions etc. This one is a drop-in session so no need to book. During our regular open access printmaking day on Wednesday 22nd, there will be a chance to make a Thermofax screen from your own design, and use it with a heat press for some shiny foiled effects on textiles. On our final weekend, join us to make pretty marble beads from polymer clay on Saturday 25th, or on Sunday 26th learn how to embellish old clothes with appliqué, embroidery and all kinds of creative ideas with Frances Cowper Holzhausen. Throughout the festival the Shop of Printed Wonders will be open, and many artworks created at INTRA displayed on the walls. 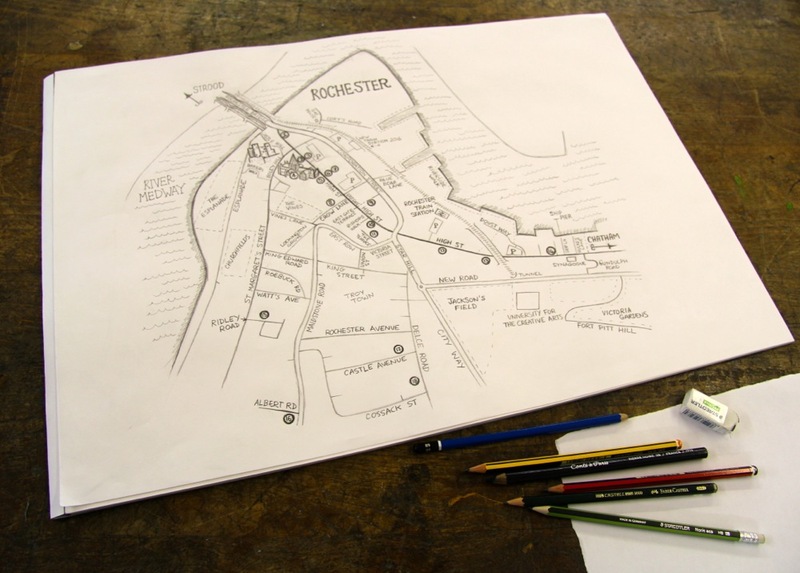 Also on show will be map drawings by Xtina Lamb for the Get Creative Medway project. The maps highlight local venues offering courses, studio space, rooms for hire, specialist arts facilities, equipment, and groups who meet to share creative interests. An online map is available too, and you are invited to suggest other venues that have not made it onto the map yet, either at INTRA or via the Get Creative Medway website. And don’t forget if you visit six locations on the Open Studios trail between Sat 18th and Sun 26th, you can enter a competition to win £100 to spend with your favourite artist from the festival! 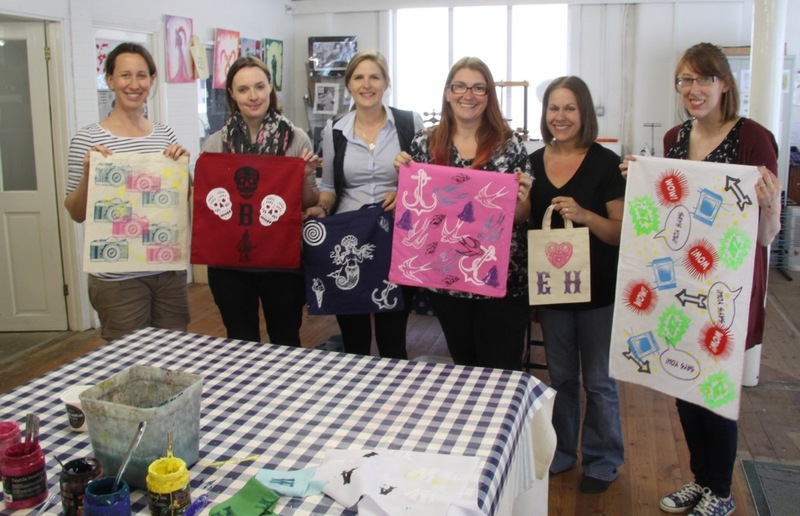 All our workshops are listed with booking info on the events page. Tags: crafts, fused glass, jewellery making, Medway Open Studios, Printmaking. Bookmark the permalink.